"Hero" by Steve Taylor & The Perfect Foil from Michael Tolosa on Vimeo. Emily and Chase, as we've discussed together, the words from John’s gospel that you chose for today are part of those spoken by Jesus on the night of His betrayal and arrest to His disciples. They’re instructions to His Church and how we who confess Christ as Lord are to treat one another with the same self-sacrificing love with which Christ has loved us. But these words have true implications for marriage and for the two of you today as well. The point is that the two of you are about to enter into a covenant, a sacred compact involving not just the two of you, but also God, the One Who gave you life; the One Who offers all who turn from sin and trust in Christ new, eternal life; and the One Who promises to never leave you nor forsake you, a promise guaranteed by Christ’s death and resurrection. I was telling Vern and Kris last night just how much I’ve enjoyed getting to know the two of you. I so appreciate the relationship you have with each other, your openness, your maturity. You are both bright, accomplished. And you obviously love each other very much. It’s a privilege being here with you now. But, if I may, I’d like to throw the cat among the pigeons for just a moment to say this: The two of you have so much going for you that it might be tempting to think that all of you’ve got going is all that you need. That would be a mistake, which is why I was so happy when you were drawn to the words of Jesus from John’s gospel for today. After being married forty-three years myself, I can tell you that marriage requires, it needs, the kind of love that Jesus has given. We must be willing to die for one another if our marriages are to work. And that willingness must extend not just to the times when the health or well-being of our spouses are in the balance, but also to the mundane, everyday, humdrum places of life, the places in which the other’s habits get on our nerves, when life seems like nothing more than a grinding routine. Even people who love each other can sometimes drive each other nuts. Even people who love each other can find that our common enemies, the devil, the world, and our sinful selves, drive wedges between them. It’s under these circumstances that giving each other the self-sacrificing love that our marriages require can become difficult, even impossible. This is exactly where the third partner in the marriage covenant you’re about to enter into comes in. Marriage, this covenant of lifelong commitment lived as God intended for it to be lived, would be impossible if we tried to undertake it our own, no matter how much men and women may love one another, no matter how many things they may have going for them. But when a marriage is built on the God we know in Christ, all things are possible! When two people together build their marriage and lives on Christ, they can face all that this life brings with joy, hope, and confidence. So, Chase and Emily, as you begin your married life today, I offer one piece of advice: Build your marriage on Christ. Find a church home in which you can be strengthened, assured, and challenged by the Word of God, where you can receive Christ’s body, blood, and forgiveness, and learn to serve each other and the world with a confidence that comes from the grace God bears for you through Christ. Let God be your marriage partner and you will have the love, the strength, and the courage to be, together, all that you can be. In last Sunday’s gospel lesson, you’ll remember, Jesus told a parable about a father and his two sons. 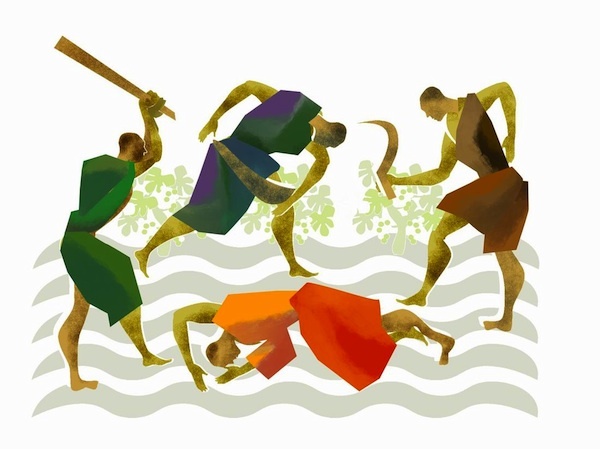 The father asked each to work in the vineyard. One son said he wouldn’t and did. The other son said that he would work in the vineyard and didn’t. Jesus asked His original hearers which of the two sons had obeyed their father. The answer, of course, was the one who obeyed despite his earlier refusal. As mentioned last week, that parable works for us as a reminder to live out the faith we confess on Sunday mornings. But it also would have had a far more pointed meaning to Jesus’ first hearers. In case they missed it though, Jesus tells another parable on this Monday of Holy Week, which comprises the bulk of today’s gospel lesson. It has a similar pointed meaning for us. Every one of Jesus’ fellow Jews would have been familiar with the Old Testament scripture to which Jesus refers here. He borrows from Isaiah 5, which is where our first lesson for this morning comes from. In Isaiah’s song, the “loved one” is God, Who had called His ancient people Israel into being and showered them with grace, provision, and love, only to find that the people sinned, rebelled against God, and treated their neighbors unjustly, failing to love God or neighbor. In other words, they produced bad fruit. This all lay in the background of what Jesus is about to say. Just as God had sent prophets to the people of Israel to tell them to turn from their sin and turn in faith to God so that they could live, the owner of the vineyard in Jesus’ story keeps sending representatives to collect the good fruit that they should be willing to give to the owner, in simple gratitude for all that the owner provided for them. This is not a parable about giving offerings, by the way. While it's the aim of every Christian disciples to give a percentage of their income--a tithe of 10% is the Biblical model--to God's work in the world, that's not what this parable is about. The God we know in Jesus Christ isn't interested in just 10% of any part of our lives. And the aim of every Christian disciple is to give 100% of their lives--100% of their time at work, 100% of their time at home, 100% of their whole selves--to God. As God the Son gave Himself unstintingly for us on the cross, the response of faith in Christ is to give ourselves back to God. God's grace in Christ, saving us from sin and death for all eternity, deserves our total surrender to God in return! 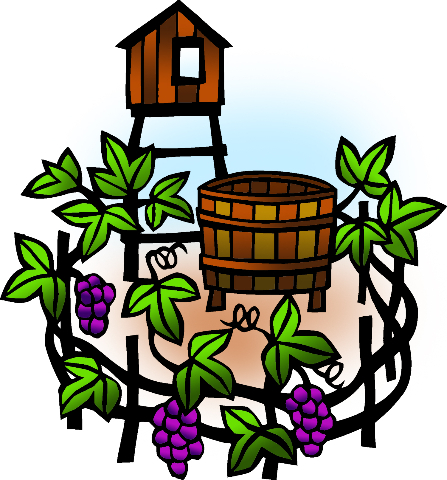 The tenants in Jesus’ parable were looking to take the whole vineyard for themselves and get the owner completely out of their lives. Like Adam and Eve, they wanted to be their own gods. That’s why they decided to kill the landowner’s son, just as the whole world, Jews and Gentiles alike, decided to kill the Son of God on the first Good Friday, just four days after Jesus told this parable. Jesus, at this point, has the chief priests and the elders right where He wants them. He wants them to make a judgment about the proper punishment for the tenants in His parable, people who represent the priests, the elders, and all of Jesus' fellow Jews in their rejection of God's authority over their lives...in their repudiation and murder of the landowner's son, who clearly represents Jesus. To understand what comes next, we have to delve into another passage from the Old Testament, Daniel, chapter 2. Here's the situation: It’s seven centuries before the birth of Jesus. Daniel, a Jew, is held in captivity in Babylon. Babylon had conquered God’s people, Israel, and taken some of Israel's best and brightest in chains back to Babylon. The king of Babylon has a dream. Relying not on his own cleverness, but on God, the imprisoned Daniel tells the king, Nebuchadnezzar, both the content of his dream and its meaning. The dream, in a nutshell, was this: At the dream's outset, there was an enormous statue made of iron, silver, clay, and gold. It was spectacular. 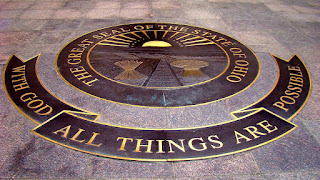 Nearby, a rock is quarried from the ground close to the statue. The rock is small at first. 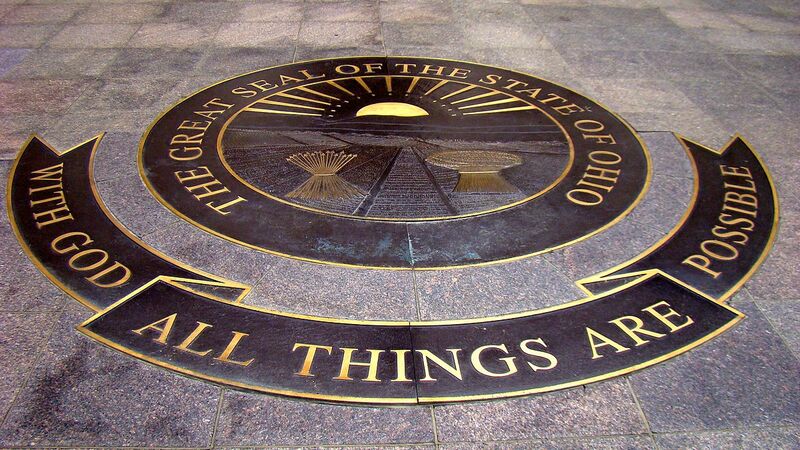 Then this small rock strikes the statue and the statue crumbles into tiny particles that blow away. The rock meanwhile, becomes a huge mountain and fills the entire earth. The meaning, Daniel said, was simple: The great kingdom of Babylon was doomed to fail, as were later kingdoms built by human beings. Superpowers come and superpowers go. But the kingdom of God, represented by the rock in the king’s dream, endures forever! God will have the last say over the life of this world: not kings, not presidents, not corporations, nor the arrogant, or not even you and me. If we set out to oppose God or His kingdom of love, we will be on the wrong side of history for all eternity! We will be fools! The prophets of ancient Israel came to understand the stone in Nebuchadnezzar’s dream not just as the kingdom of God, underestimated in this world, but also the One Who would bring the kingdom of God into this world, the Messiah. Like the son in Jesus’ parable of the landowner and the tenants, the Messiah would be “the stone the builders rejected,” Whose power and importance would be disdained and underestimated, but who was and is the King of all kings. And, by the way, this is exactly how Jesus understood Himself. We try to turn Jesus into a wimp we can control, a kewpie doll we can pull out of our lives' back pockets when we need Him to do our bidding, but stash away when we think that we've got things under control. But the Savior Who overcame death can't be so easily manipulated or taken for granted! Jesus is the Rock on which eternity is to be built. We must either embrace Him as our God or be crushed by our own arrogance. There are no other choices. That’s because they had built their own kingdoms in which they reigned over the spiritual and civic life of Judea, apart from God. They worked hand-in-glove with the Romans and had cushy lives at the spiritual and economic disadvantage of the people. Jesus was warning them that their days were numbered. They needed to receive God when He came in their midst--Jesus--or be crushed by their own insolence. It’s at this moment that the chief priests and elders decide, not to follow Jesus, but that they have to kill Jesus. So, what does this all have to do with you and me? Just this. We all have a tendency to work at building our own kingdoms. We get the nice house. We work to get stuff for our kids that they may or may not need. We pile our 401k’s and 403b’s with reserves. We guys build our man caves. But, in truth, the kingdom of me, no matter how big it gets, is destined to crumble. Our caskets may be lined with silk and gold. Yet we'll still be just as dead when our bodies are set inside of them. But there’s another kingdom, the kingdom into which Jesus invites us. These days, it may seem to have been supplanted by the kingdoms of this world: nations, ideologies, religions, sports, politics, leisure activities. We may see all of these things and think that Christianity is on its way out and that no one will ever revere Jesus again. None of the kings or kingdoms of this world has ever done or will ever do what Jesus has done for us. None can do for us and in us what Jesus can. Jesus, God and sinless, became human so that He could bear the weight of our sin and death on His humble shoulders. When He died, He took the punishment we deserve for sin. When He rose, He made it possible for us to live with God forever. All who turn from sin and trust in Him with their whole selves have life with God, now and always. Jesus makes all who trust in Him new! This world may grind us down. The kingdoms of this world in which we may be inclined to trust will be reduced to powder. 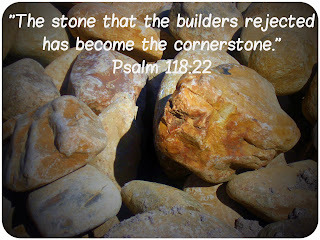 But Jesus, the stone which the builders rejected, is the cornerstone on which our eternal lives can be built. Only He can make us whole. Only He can give us life. Only He can give us purpose. So, today and every day, ask the Holy Spirit to help you build your life on Jesus Christ alone. Every time you read God’s Word. Every time you receive the sacrament. Every time you go to work. Every time you make a decision. Every time you're with your spouse or child or friends. Every time you go to a ballgame, a party, or a concert. Every time you and I dare to veer away from the dead paths of the devil, the world, and our sinful selves, may we follow Jesus.